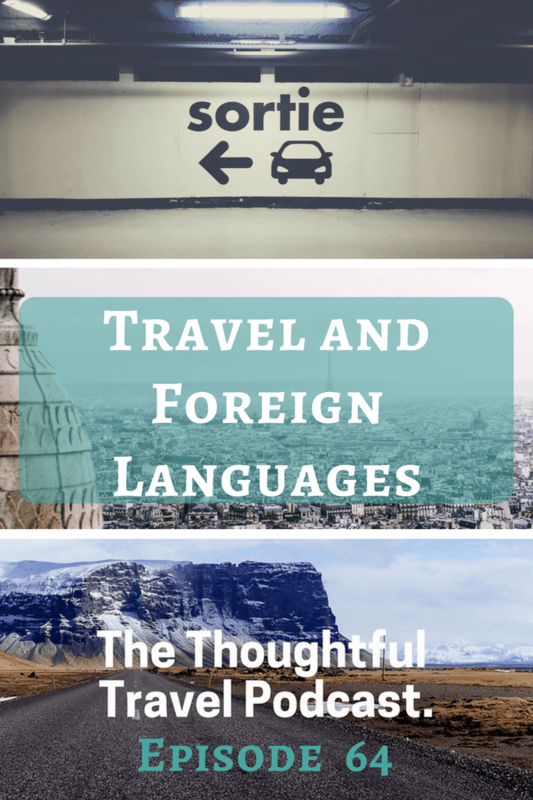 Language learning is just about one of my very favourite travel-related topics so I loved putting together this episode of The Thoughtful Travel Podcast. I had an interesting chat with a bunch of travel bloggers at a dinner in Melbourne over the weekend about languages, and we all basically agreed we would like to speak more languages, and to speak the ones we know a bit of, better. We will keep on trying I guess! In the meantime, this podcast episode will hopefully provide a bit of language inspiration. If you travel much at all, you’re going to encounter foreign languages, and Episode 64 of The Thoughtful Travel Podcast is all about how learning languages and living in foreign countries has changed the experiences of these three travel-loving guests. First up, I chat with Yasmin Newman who’s a fellow language lover. She’s spent time in both France and Mexico with the goal of improving her French and Spanish and has much of interest to say about how effective this was. Following Yasmin, I talk to Cassandra Le who also decided that living abroad, in Spain, would be a great way to improve her Spanish language skills. My final guest today is Serena Star-Leonard. We chat about how embarrassing it is that so many people from English-speaking countries don’t speak any other languages and why that means she’s trying so hard to learn Spanish; we also talk about what kind of communication happens when you’re talking to someone with whom you don’t share a common language at all.